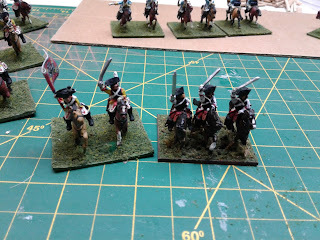 I haven't liked the way my SYW Prussian cavalry have been based for a while, but haven't done anything about it. Originally they were all based 2 to a stand as set out in Warfare in the Age of Reason. 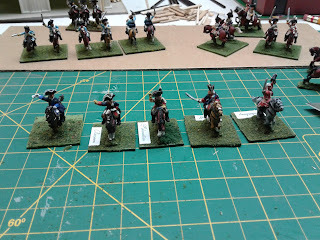 But once I started building Austrian cavalry I decided I liked the look of 3 cavalry boot to boot on a 40mm wide base better. 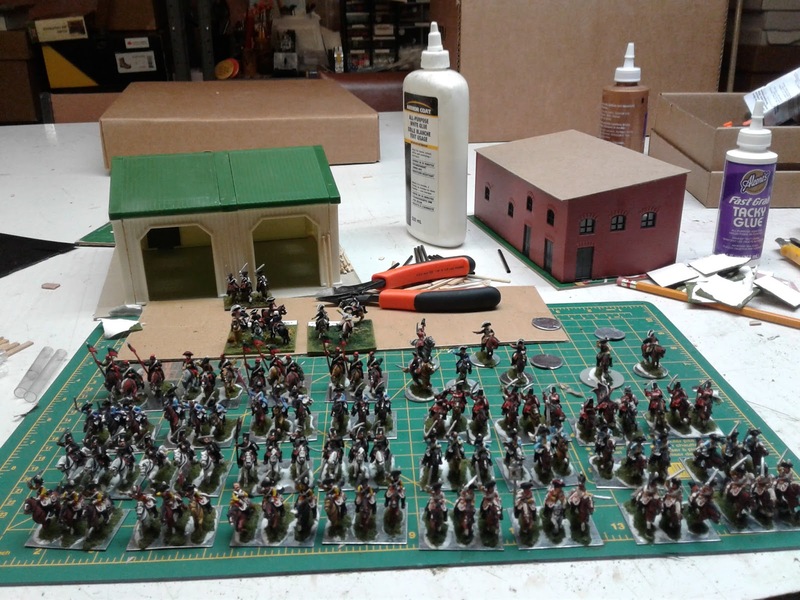 So I decided it was time and rebased all seven 12 figure Prussian cavalry regiments. 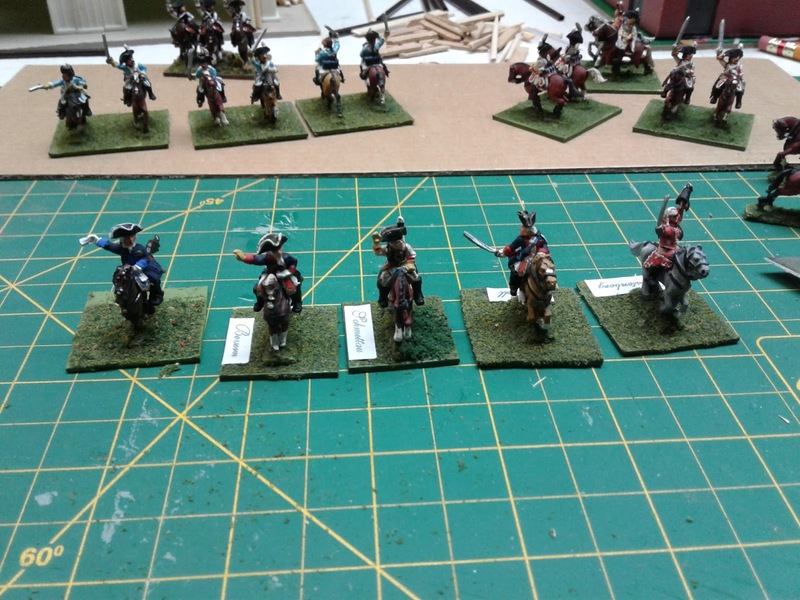 I also rebased 7 generals on round stands. Note that the bases are different sizes! All 7 regiments ready for flocking. Also working on gangster buildings. I used some sheet metal 40x30 bases from Renaissance Ink that are left over from painting Romans for Don many years ago. 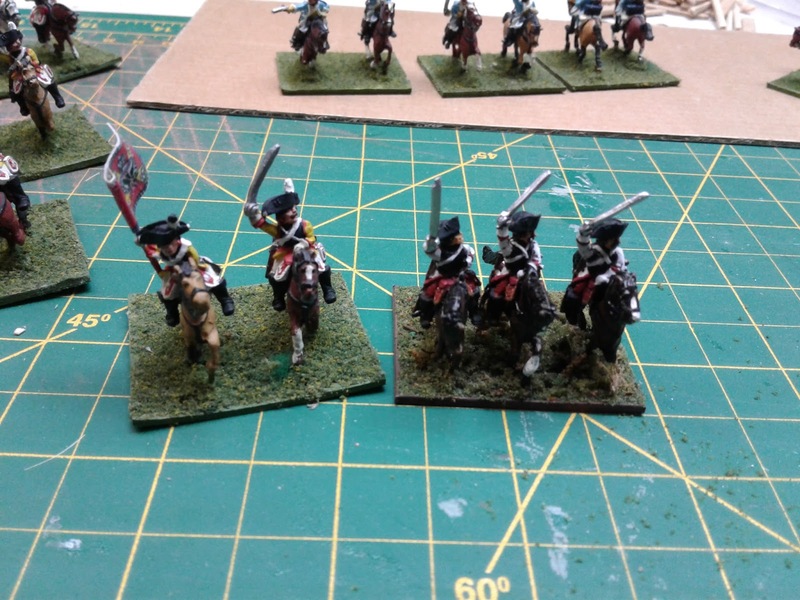 The uhlan regiment are on 40x40 bases to make them look more irregular. An added benefit is they will.occupy a smaller space in the storage drawers, which are quite full now.